Small flush about 4.5L will be used if the seat is occupied for less than 25 seconds. Full flush about 6.0L will be used if the seat is occupied over 25 seconds. 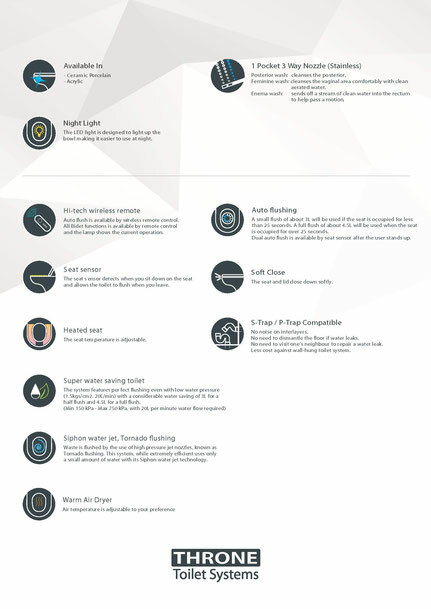 Dual auto flush is available by seat sensor after user stands up. Featuring a perfect flush even at low water pressure (0.7khf/cm2, 20L/min) with considerable water savings of 4.5 liters for small flushes, 6.0 liters for full flushing. 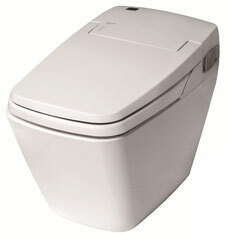 Auto flush is available by wireless remote control. All bidet functions are available by remote control and the lamp shows the current operation. The seat and lid close down softly. Most existing toilet seat deigns have remained unchanged for the last 20 years. 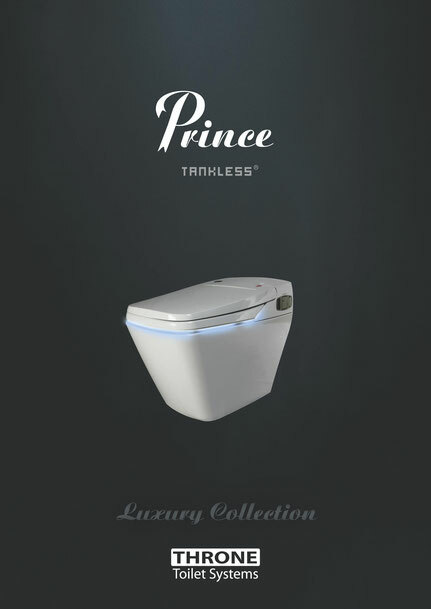 However, the Tankless digital toilet introduces the advanced square design with a wider seat which is ergonomically designed to meet the change of the contemporary human body. Posterior wash nozzle: Cleanses posterior thoroughly and comfortably with oscillated, aerated water. Feminie wash nozzle: Cleanses feminine area comfortably with aerated clean water.